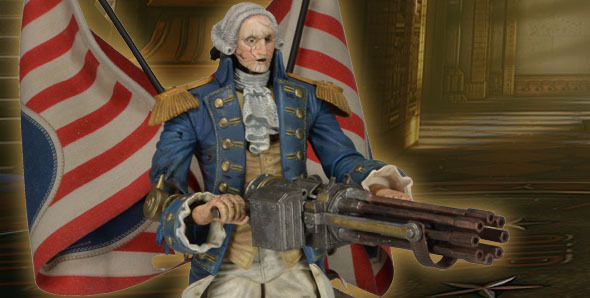 A Closer Look at BioShock Infinite’s George Washington Motorized Patriot Action Figure! 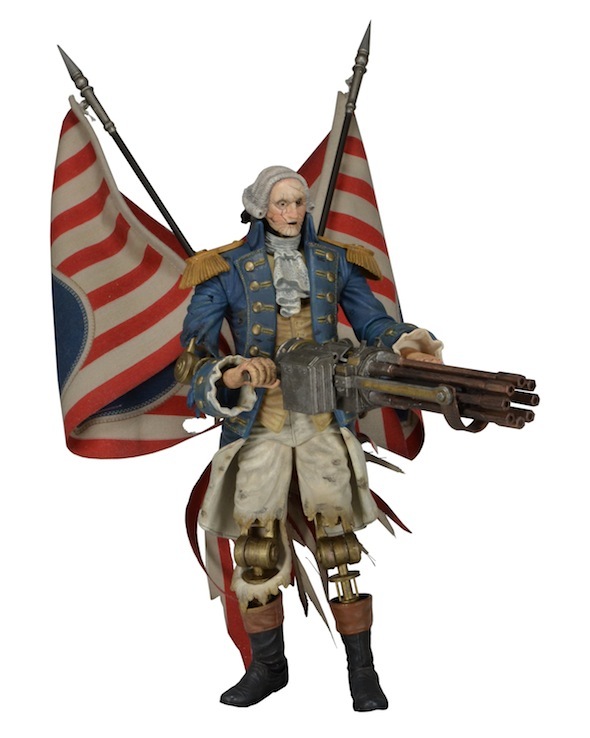 You are here: NECAOnline.com » Blog » News And Announcements » A Closer Look at BioShock Infinite’s George Washington Motorized Patriot Action Figure! 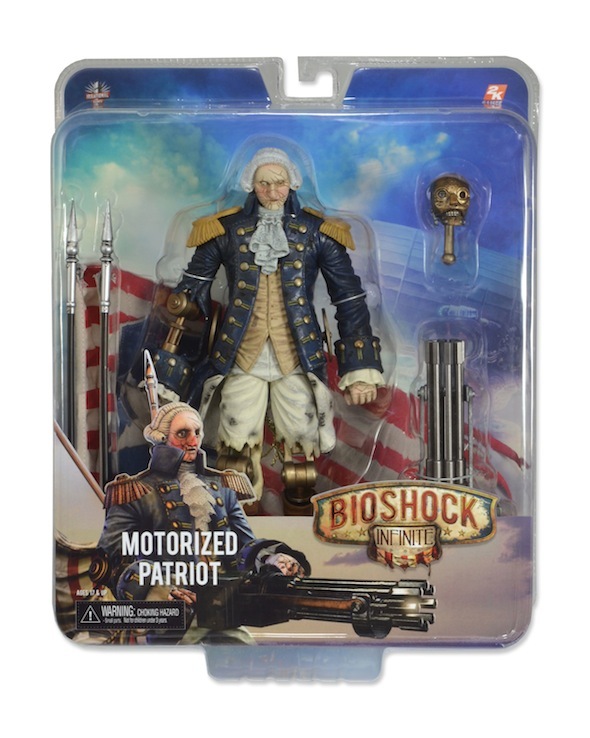 Ever since we announced it earlier this year, we’ve been simply deluged with questions about the BioShock Infinite George Washington Motorized Patriot figure (mainly of the “When when WHEN?” variety). After some tantalizing teases, we can at last reveal Mr. Washington in all his creepy, slightly decrepit glory! At over 9″ tall, the Washington Patriot towers over Elizabeth’s svelte 6.5″ inches, giving you an idea of how intimidating it would be to run into this guy on Columbia. Hmm, there were some other Heavy Hitters, weren’t there? So close! The George Washington Motorized Patriot will begin shipping to retailers at the end of the month. You can check up on this and other ship dates on the NECA Shipping Calendar. 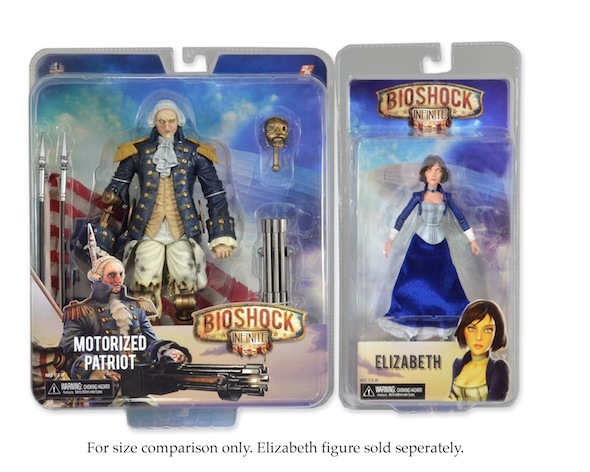 NY TOY FAIR: New Motorized Patriot Action Figure from BioShock Infinite!